Thickens sauces and gravies and is used for baking. A Brookfield Powder Flow Tester equipped with Powder Flow Pro software for automated instrument control and data acquisition. The corn starch was scooped into the trough, and the scraping tool was then used to evenly distribute the powder throughout the trough. After recording the sample weight and entering it into the software, a standard flow function test and then a wall friction test were run. Time required for each test was 25 minutes and 13 minutes respectively. Figure 1 shows the flowability of the corn starch at different levels of consolidating stress. These results show the corn starch, at levels of consolidating stress higher than 6 kPa, is a more easy flowing material. On the other hand, at very low consolidating stresses below 1.4 kPa, the starch falls into the very cohesive range and is more difficult to flow. Note: The Flow Function data is indicated by the red line. When interpreting a Flow Function graph, the data is read from the right to the left. The right most data point is indicative of powder flow when the hopper is full; the left most data point is indicative of powder flow when the hopper is almost empty. The purple lines are Standard Flow Indices which distinguish the different types of flow behavior through levels of consolidation, ranging from “free flowing” (bottom segment) to “non-flowing” (top most segment). Figure 2 represents the angle of wall friction at different levels of normal stress. Angle of wall friction represents the friction between the sliding powder and the wall of the hopper or chute at the onset of flow. In this test a stainless steel lid was used, illustrating what the friction would be like if the corn starch was in a stainless steel hopper. At a low normal stress of about 0.5 kPa, the effective angle of wall friction is about 35º and goes down to about 29º at higher levels of normal stress (4.75 kPa). Note: The Wall Friction test and the Flow Function test are independent tests. The Flow Function test measures flow of the powder through the orifice while the Wall Friction test measure the flow of powder against a specific material of construction. Figure 3 shows the bulk density of the material at different levels of consolidating stress. This graph tells us that the corn starch has a fill density of about 625 kg/m³ and rises to about 800 kg/m³ at around 11 kPa of consolidating stress. In general, a more easy flowing powder will show very small changes (less than 30%) in bulk density, while a cohesive or poor flowing powder will generally show a large (greater than 30%) increase in bulk density. In this case the change in bulk density is 28%. This material is on the cusp of being a more cohesive, difficult to flow material. This is supported by the Flow Function test which shows the material easy flowing initially at higher consolidations. 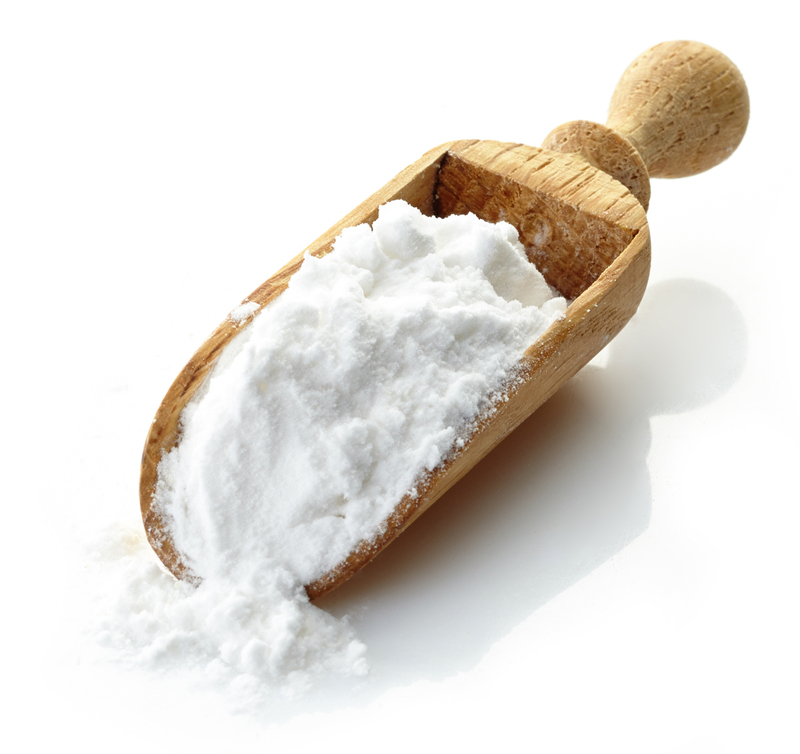 The corn starch is a very cohesive powder at low consolidation stress levels (below 1 kPa), cohesive at consolidation stress levels from 1 kPa to 6 kPa, and easy flowing at high consolidation stress levels. This means that the corn starch may have flowability issues as the hopper empties. The critical arching dimension, of 2.5 inches (63.1 mm) provides a conservative estimate to prevent arching from happening, provided the minimum outlet dimension of the hopper exceeds this value.